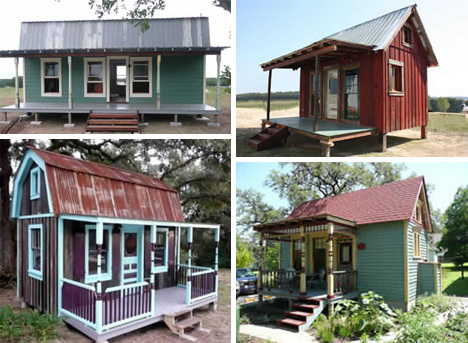 Tiny houses have never truly gone out of style. From the very early days of home building, when the construction was done by hand and usually by the people who would be occupying the home, small homes have been built out of necessity. But today many people continue the trend for the sake of simplicity or the environment. Living in a minuscule home definitely encourages you to rid your life of all types of clutter and get back to what is really important. 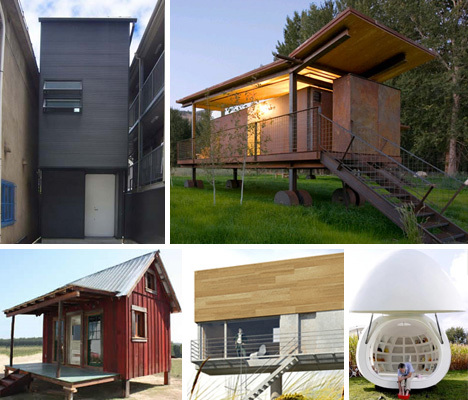 These truly tiny homes – some modern, some classic – exemplify the best of space-saving architecture. Dorm rooms are how most of us are introduced to small-space living. This French design is jump-starting that experience for one lucky kid. The cottage-like structure, built in a back yard, was intended for a teenager who is getting older and growing closer to the day when he will live away from his family. 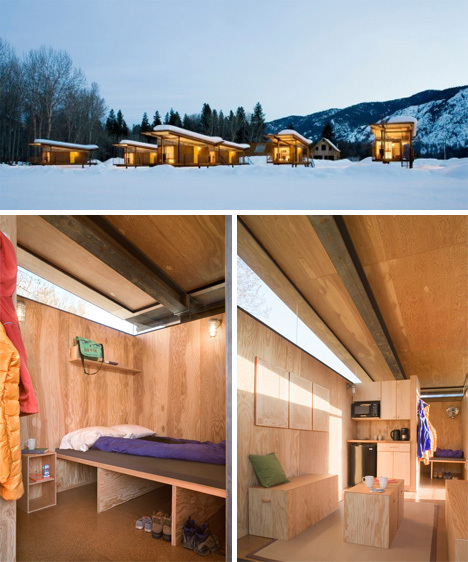 The tiny home features four levels with smart space-saving features at every turn. With a lounge, a washroom, a work area and a bedroom, no space is wasted and the teenage occupant can have his own personal, private living area. Is everything really bigger in Texas? Not according to the people behind Tiny Texas Houses. They believe that there are enough building materials in landfills currently to provide for most, if not all, of the next generation of housing needs. They build tiny homes from salvaged materials and ship them to customers complete with salvaged fixtures, low-voltage wiring and waste water reclamation systems. The small houses only go up to 12′ X 28′, so moving into one will require some de-cluttering for the average person. Some U.S. cities have taken to the small housing lifestyle in a big way. 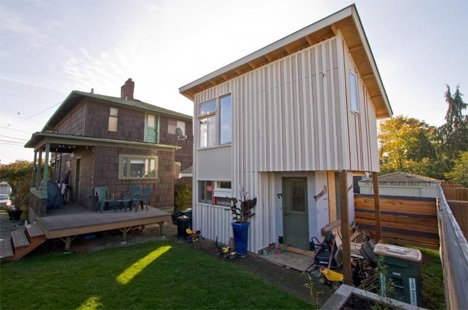 Seattle, a city known for its sky-high rental prices, recently changed zoning laws to allow small cottages to be built on the same properties as larger, conventional houses. Denver has a similar plan. Building a cottage can give homeowners a way to keep family nearby, provide affordable housing in a crowded urban area, and add some regular rental income to their bank accounts – it’s a win all around. There are many creative ways for dealing with overcrowded areas, and the Single Hauz concept incorporates two of them: build in otherwise inaccessible places, and build up rather than out. The design, from Polish firm Front Architects, is rather like a billboard that you can live in. 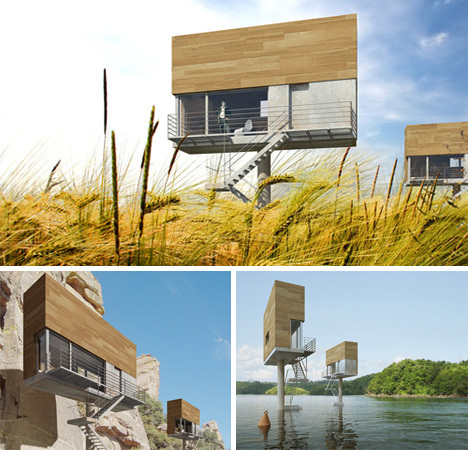 The tiny home is held aloft by a central pole, allowing it to rise high above the surrounding landscape. The home is clearly meant for a single person, not a family, and due to its unique orientation it would allow a higher degree of privacy than just about any other home design. For some people, small-space living is about simplifying all parts of life, including personal relationships. 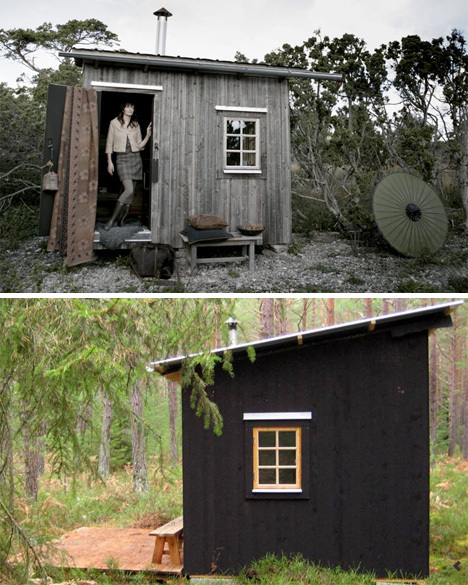 The Hermit’s Cabin from Swedish company Arvesund embraces that concept. The cabin is only big enough for one person and a small handful of furnishings. It can be placed just about anywhere – from a backyard to a secluded woodlands retreat – and offers the ultimate in simplicity and shutting the rest of the world out. Adding a guest room to your house can be a lengthy and expensive proposition. This egg-shaped dwelling from DMVA is a simple (albeit slightly eccentric) way to add additional space to an existing house. 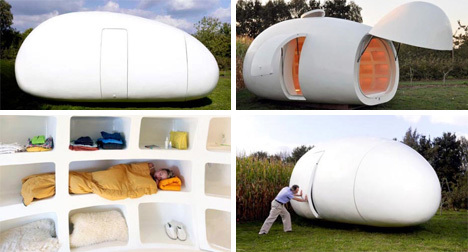 It can also be a stand-alone mini-home with the addition of a bathroom and kitchen, though it would almost certainly make the neighbors scratch their heads in confusion to see you lock yourself inside a giant plastic egg every evening. This marvelous cube is a French design meant to be used as a vacation getaway accommodation. Believe it or not, the tiny box sleeps a grand total of four people and includes everything you need on your vacation…other than breathing room, of course. Each cube comes with a skylight dome in the top meant to be used for stargazing. 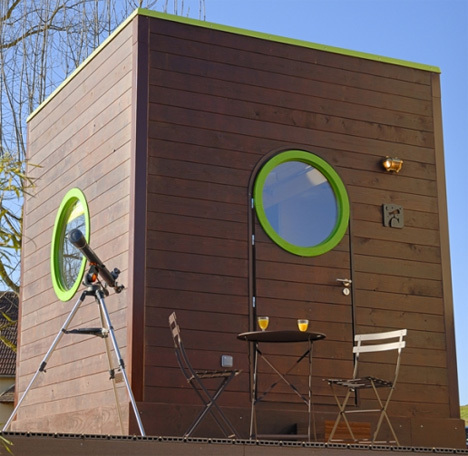 The Carre D’Etoiles can be rented currently in many locations throughout France, but this design seems perfect for using as a tiny home in some secluded location. Tiny house living isn’t always about living alone. The Rolling Huts designed by OSKA Architects are meant to be grouped together in a “herd” or community. They are made of simple, natural materials: cork, plywood, steel. The emphasis in the design is on nature and making the smallest impact possible. Large wheels lift the huts up off of the ground, while a spacious exterior deck actually takes up more than half of each hut’s entire footprint. Inside, occupants are left with 200 square feet of living space. 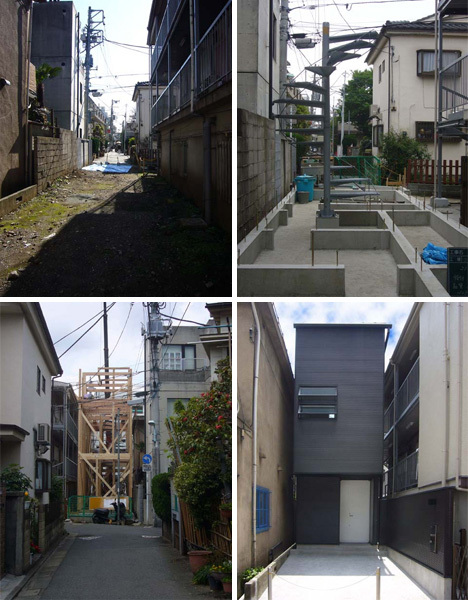 Finding space to build anything in the densely populated city of Tokyo, Japan is nearly impossible. But architect Takafumi Matsunaga managed to do just that. He found an alley between two existing houses that was no more than 10 feet wide – and built a house on the unlikely site. 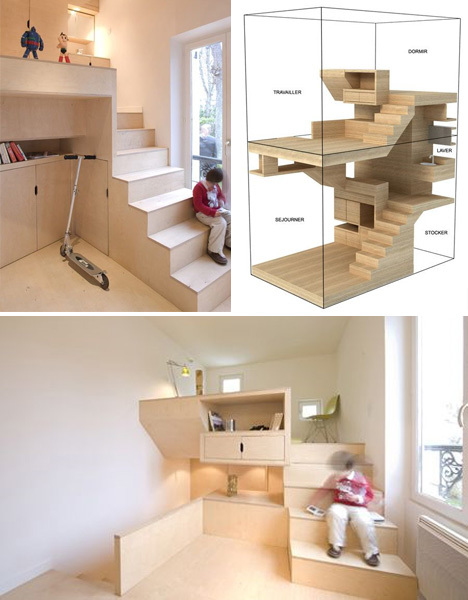 The extremely narrow abode is almost tiny enough for occupants to lie down on the floor and touch both walls at once. The interior is very impressive, managing to look airy and spacious even though it is an absolutely miniature space. This incredibly small house is only three feet wide at its narrowest point, and was widely believed to be the smallest house in London. 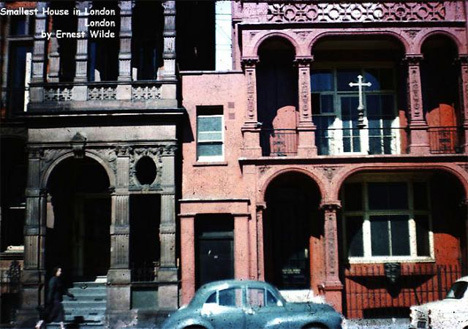 Located near the Marble Arch, the home was actually built to block alleyway access to St. George’s graveyard, where grave robbers were becoming a nuisance. The house is now a part of the Tyburn Convent building.